Hello! How did the Prog Rock awards in London go well last week? It’s interesting you mention the age difference because there is a distinct difference between modern prog bands and early prog bands such as ‘Yes’. Would you agree that it’s a genre that is perhaps more susceptible to change than others? Do you think that attitude had an effect on other genres? After working with so many greats e.g. David Bowie and Cat Stevens, are there any artists you wished you could have worked with but never got the opportunity? Looking through your previous work on albums such as ‘The Six Wives of Henry VIII’ and ‘Journey to the centre of the Earth’; do you prefer, or perhaps find it easier, to write music based on historical figures and novels rather than music based on your own life experiences? Yeah definitely, I’ve always been into mythology and history. I’m actually a high ranking Freemason and I’m a Knight’s Templar as well so that stuff has always appealed to me. The only autobiographical thing I’ve written is the ‘King Arthur’ album but I didn’t intend it to be like that, it too me a long time to accept that it was subconsciously about my own life. Is there anything in particular that drew you to the Lancaster show? 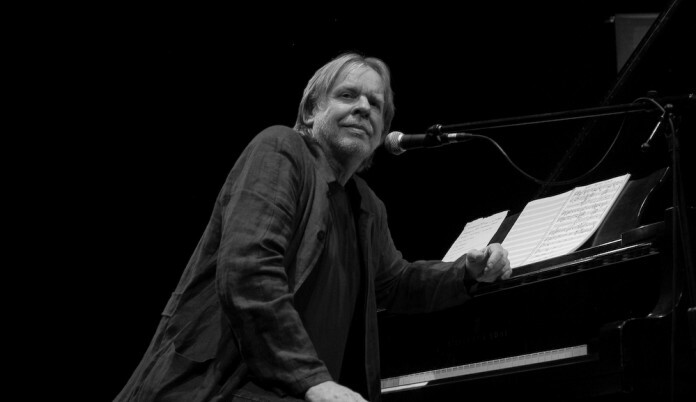 Restricted view tickets are still available for £10 to see Rick Wakeman perform at the Lancaster Priory Church on 17th October, with the Priory Choir.